How does the Bay Area measure up to national foreclosure rates? Black Knight Financial Services, which provides technology, data and analytics for lenders and servicers, released its “Mortgage Monitor” for April 2016. Here’s how San Francisco is comparing to the rest of the country. Although it continues to rise, home price appreciation (HPA) is decelerating in California. 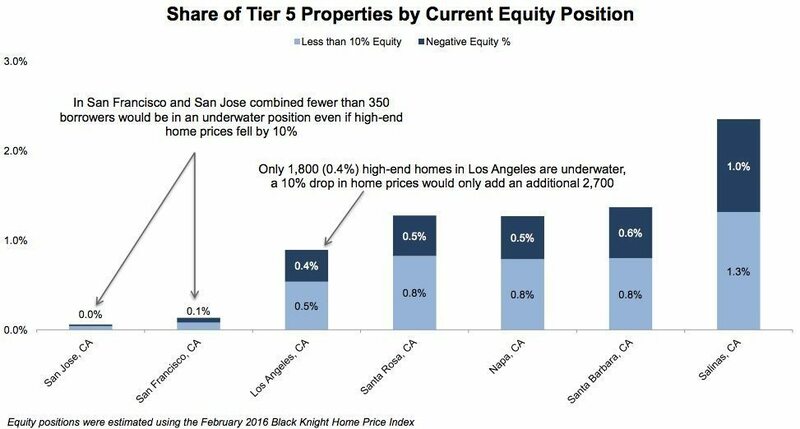 Black Knight reported that HPA on high-end properties in San Francisco has decelerated from 12 to 7 percent, and in San Jose from 14 to 7 percent. “There are an estimated 290,000 mortgaged Tier 5 properties in San Jose and San Francisco combined, and even with a 10 percent drop in home prices, fewer than 350 would be underwater,” stated the report.